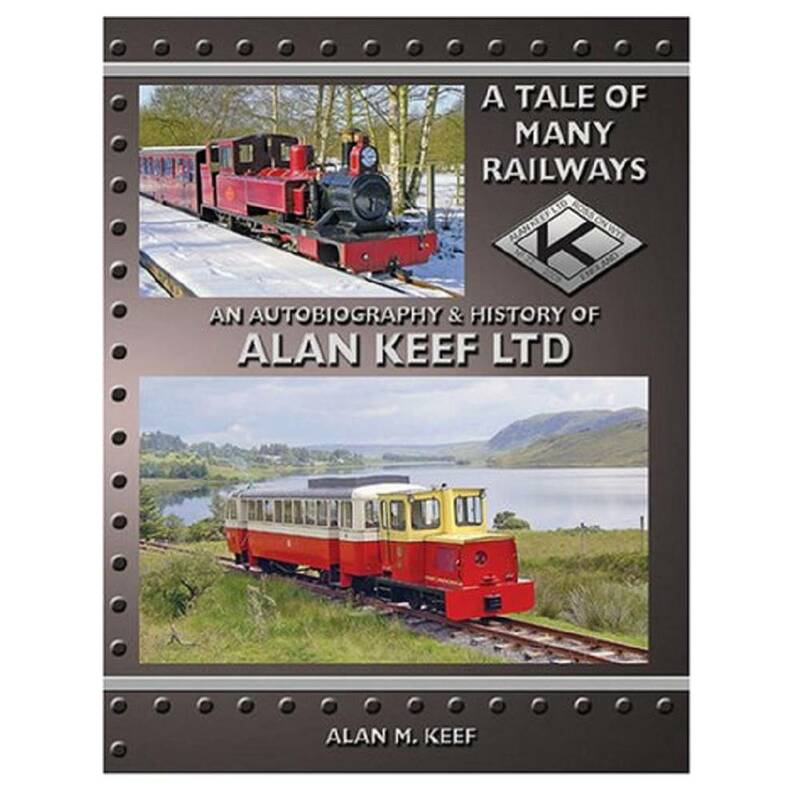 Tale of Many Railways: An Autobiography & History of Alan Keef Ltd.
192 pages. 275x215mm. Full colour throughout printed on gloss art paper with laminated board covers. The firm of Alan Keef Ltd, Locomotive Builders & Light Railway Engineers, based at The Lea near Ross-on-Wye in rural Herefordshire, is well known to narrow gauge and industrial railway enthusiasts all over the world but few know much of its origins and history. Now, as the founder of the company prepares to take a back seat in the business and leave the running of it to younger family members, Alan Keef has decided the time is right to fully document the history of his firm and its products. Considering that Alan Keef’s family has connections with small railways dating back to the 1870s, it should perhaps be no surprise that he embarked on a business supplying equipment for such operations. Despite this coinciding with the virtual demise of the industrial narrow gauge railway, his family company moved on to include the leisure industry, heritage railways and a rebirth of the large-scale garden railway, not to mention some very odd other railway applications indeed. This book details the trials and tribulations of building a world-wide business of some renown from scratch. For the steam enthusiast, there are details of the various locomotives that have been overhauled and rebuilt, in addition to those that have been built new. Over 200 photographs, mostly in colour, document the eighty or so new locomotives built up to the time of publication. There are also details of some of the other very odd applications for which Alan Keef Ltd have built railways, such as launching tracks for lifeboats, industrial monorails and projects that never happened. Whilst everything the company makes tends to be slightly different, for the modeller there are scale drawings of the standard designs, which can then be customised to suit the usage, just as happens in real life. Additional chapters include details of the author’s other interests in boats, matters ecclesiastical and family life in general. Although, necessarily, this is a story without an ending as the company continues to grow from strength to strength, it should be of interest to all those with a love of narrow gauge railways, be they historians, enthusiasts or modellers.